EXCLUSIVE: Christina Aguilera Took Off ALL HER MAKEUP . . . And We Can't RECOGNIZE HER AT ALL!!! 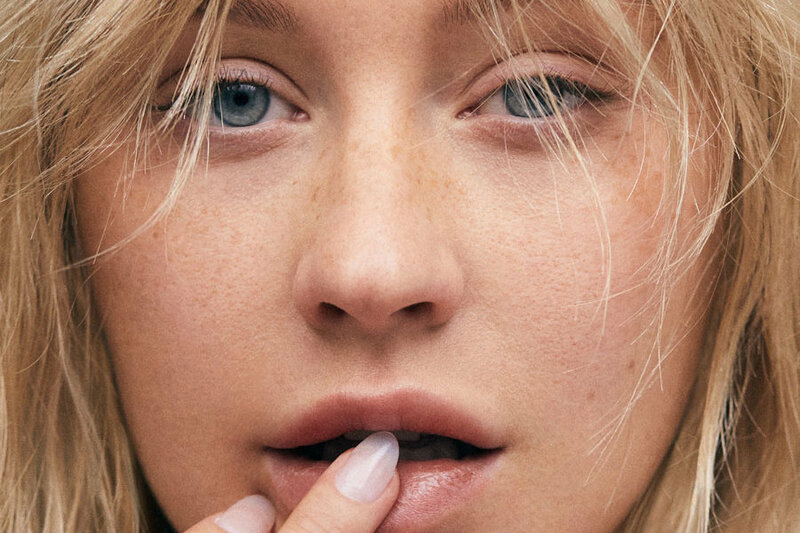 Pop singer Christina Aguilera took off ALL of her makeup in a new photoshoot for Paper Magazine - and she is virtually UNRECOGNIZABLE. The platinum singer looks good . . . just completely different. Her fans are going wild over her new feature and the "Dirty" singer looks as though she&apos;s aged at least 15 years. "I&apos;ve always been someone that obviously loves to experiment, loves theatrics, loves to create a storyline and play a character in a video or through stage," she told PAPER. "I&apos;m a performer, that&apos;s who I am by nature. But I&apos;m at the place, even musically, where it&apos;s a liberating feeling to be able to strip it all back and appreciate who you are and your raw beauty." The singer has often faced criticism over her looks. When she first broke out onto the scene, some said she looked too skinny. Years later when she was heavier, people laughed at her for being fat. It appears that she has been focused on working on herself and what a way to return to the spotlight. Speaking on the backlash she said: "They[new artists] don&apos;t have as much backlash when they come out on the scene. And I did. It was a very interesting and controversial time for me. [...] Either women are not sexual enough or we&apos;re not fulfilling enough of a fantasy for you, but then if we&apos;re overtly sexual or feeling empowered in a certain kind of way, then we&apos;re shamed for it."